Local, state and federal agencies are coordinating efforts to make sure they’re all on the same page for firefighting season. And they’re hoping for a season similar to the last two more quiet years, instead of the busy 2013 season. The local U.S. Forest Service air tanker base at the Durango-La Plata County Airport works closely with a base in Denver and a U.S. Bureau of Land Management base in Grand Junction. There are several other single-engine air tanker (SEAT) bases in the state, as well, including one in Cortez overseen by the Durango base. Single-engine air tankers are small planes that can drop repeated loads of retardant on a fire, making them the workhorses of fighting the West’s wildfires. 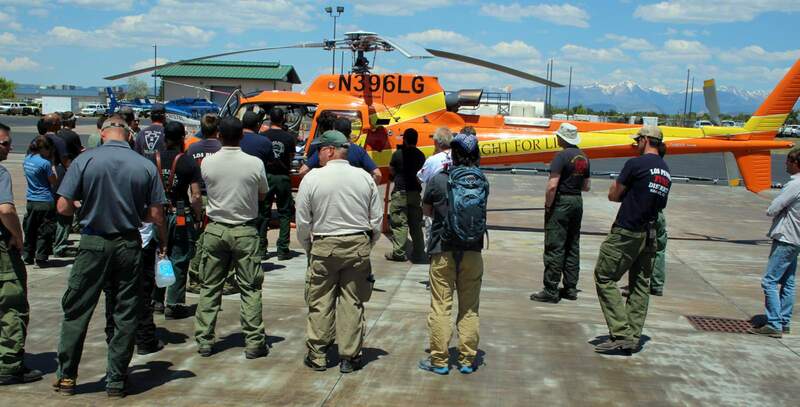 On Tuesday, firefighters from local agencies were at the base for annual training and to check out helicopters from Flight for Life and Mesa Verde National Park. Two regional helicopters are working on Arizona fires, he said. Overseeing the SEATS, helicopters, big tankers and myriad other airplanes that could be called on is Craig French, manager of the Durango’s air tanker base. French has worked with air tankers since 1979 and returned home to Southwest Colorado six years ago after a long stint in California. He and his staff start business every spring by ensuring the flame retardant in the big tanks outside their office window is ready to go. The retardant is slowly recirculated after sitting during the winter, then tested in Montana to make sure it’s viable. In the summer, he and his staff monitor a variety of computers and maps to see which resources are being used where. Every federal government aircraft is equipped with GPS equipment that allows offices to monitor where they’re flying. He also watches which areas have temporary flying restrictions, although those usually take place more on the Front Range. For an observer on the ground, firefighting planes look like they just fly along and drop retardant, but French explained it’s a lot more than that. A lead plane flies in first, particularly if a fire is burning in a ridgeline or canyon, to ensure there is room to make the drop and the planes have a safe exit. Then the tanker follows to drop the retardant. Different kinds of craft fly at different elevations to avoid collisions. Dave Minton, a helicopter pilot with Flight for Life, talks about helicopter emergency medical operations in the woods during the U.S. Forest Service annual flying safety training on Tuesday at the U.S. Forest Service Tanker Base at the Durango-La Plata County Airport. 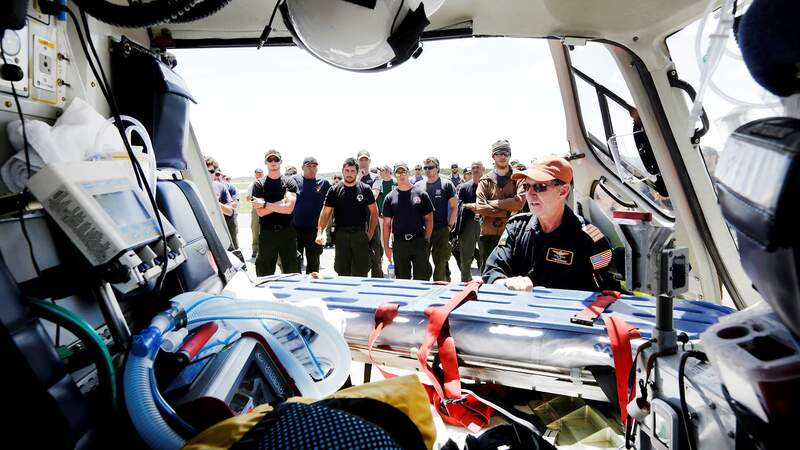 Dave Minton, a helicopter pilot with Flight for Life, talks about helicopter emergency medical operations in the backcountry during the U.S. Forest Service annual flight safety training on Tuesday at the U.S. Forest Service Tanker Base at the Durango-La Plata County Airport. 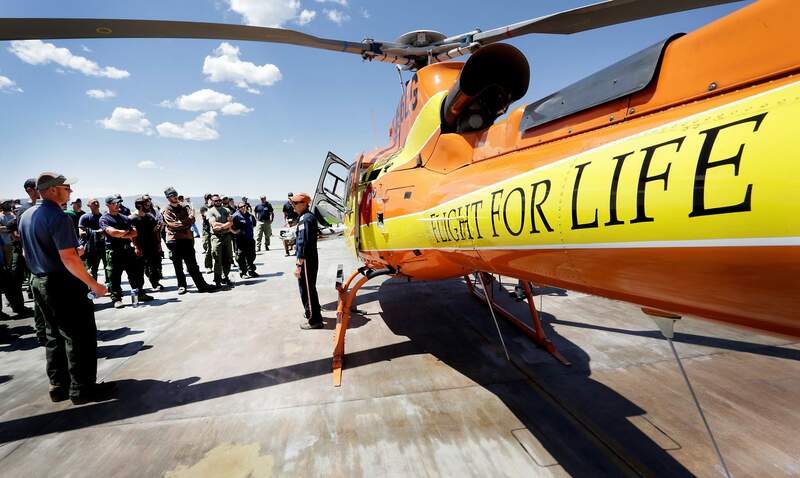 Firefighters from Upper Pine, Los Pinos and other fire agencies get training with Flight for Life on Tuesday. 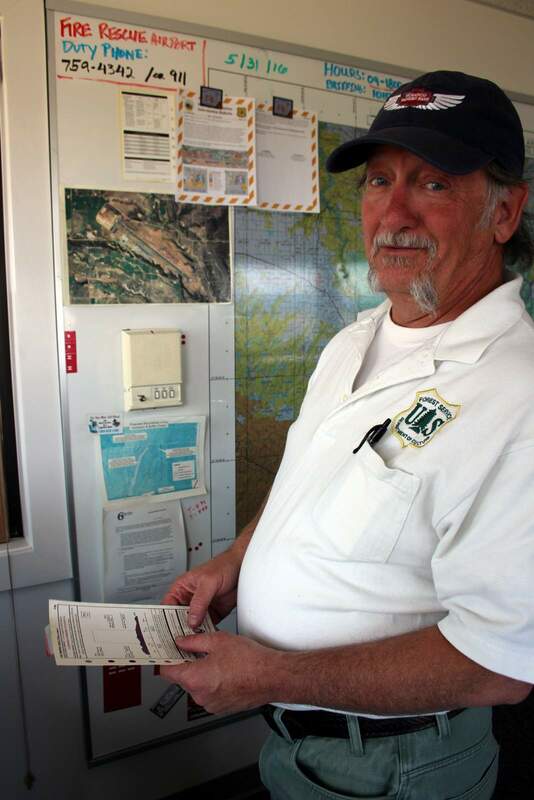 Craig French manages the U.S. Forest Service Air Tanker Base at the Durango-La Plata County Airport. 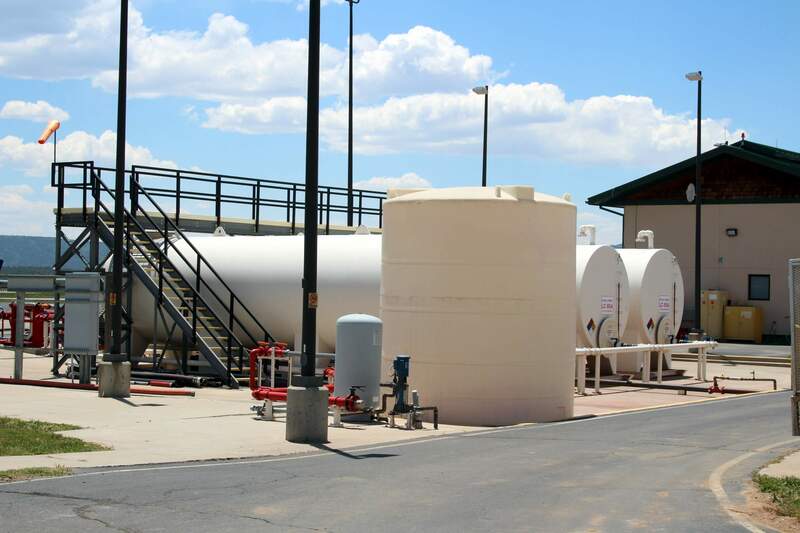 Several huge fire-retardant tanks are at the base, ready for planes and helicopters to use this summer if needed. 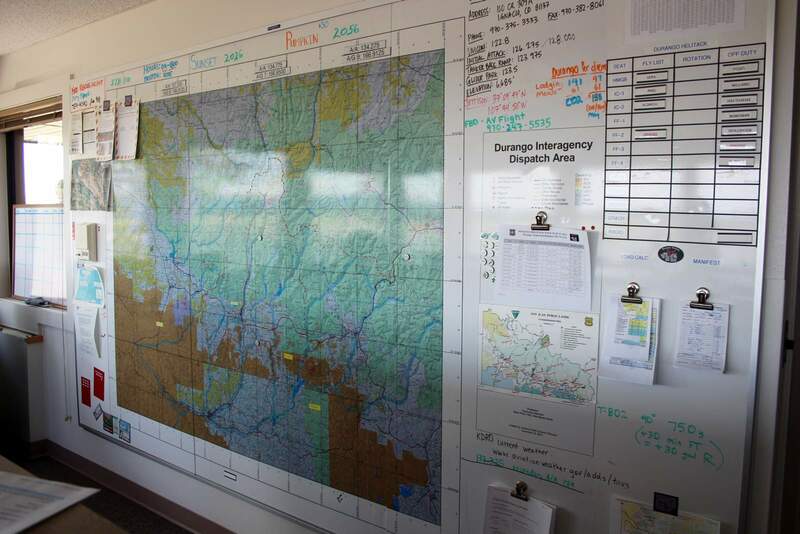 Maps and flight information fill the walls of the air tanker base in Durango.